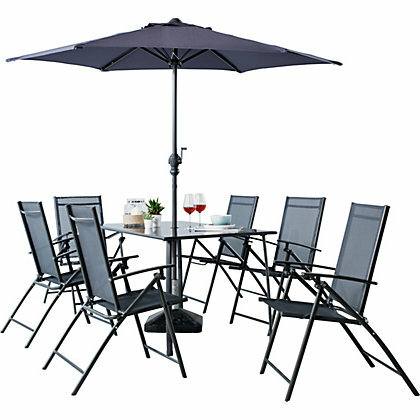 This sleek and stylish Italia 6 Seater Patio Set is the perfect addition to any garden or patio space. The table features a glass table top and removable legs for storage. The set also includes a large parasol, meaning you can enjoy sitting in the garden or entertaining guests at any of time of day.